A real estate certificate of deposit is a CD in which the provider uses the proceeds in order to buy real estate. The person who holds the certificate of deposit may receive rental payments or capital appreciation on the property value as well as the interest rate. Generally, there is a lower interest rate on a real estate certificate of deposit as well as a possibility of getting a higher return on the investment. You may also be able to borrow against a certificate of deposit. At Pulgini & Norton, our Boston real estate lawyers may be able to advise you about using a certificate of deposit for the purpose of acquiring real estate. 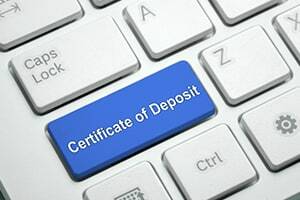 Certificates of deposit are sold by banks and considered low-risk investments that are appropriate for money that you will not need for months or years. When you leave the money alone for a set period or term, you get paid an interest rate that is a bit higher than what you can earn in a check or money market account. The gains from the certificate may be taxed as income, except when they are in a tax-deferred or tax-free account. They are considered a safe investment. However, people who invest in a certificate of deposit may have difficulties when trying to buy real estate. Sometimes it is necessary to withdraw the money from the bank before the maturation of the certificate of deposit in order to buy a home. However, when money is withdrawn before the maturation of a certificate of deposit, an early withdrawal penalty must be paid. The dollar amount of an early withdrawal penalty depends on the length of the certificate and the issuing institution, but often it is equal to an established amount of interest. Sometimes you may pledge the certificate of deposit to secure a mortgage, but the lender might not accept it because it may not be redeemed until it matures. However, sometimes you may get a loan from the bank that holds the certificate of deposit. You will need a loan officer for the bank to look up the value of the principal of your certificate of deposit and ask how much it would charge if you borrow and use the certificate of deposit as collateral. You may have accumulated interest, but it is not used to calculate how much you may borrow from your certificate of deposit. You may be able to negotiate a loan for a sizeable percentage of the certificate of deposit's value. The size of the percentage depends on the policies of the bank and the value of the certificate of deposit, but generally, you will not be able to borrow 100% of its value. Moreover, the higher the amount that you are borrowing, the lower is the interest rate that you may be able to get. Often, the range is 2-4% more than what you receive on the certificate of deposit. Generally, it is advisable to pay more on your real estate loan principal, using the certificate of deposit. When the certificate of deposit matures, you will need to collect the money and interest from the certificate and use it to pay off a portion of the real estate loan principal. Choosing to do this allows a reduction in the principal of the loan and also saves interest charges. Taking out a mortgage may be one of the most expensive loans that you ever receive. At Pulgini & Norton, our Boston lawyers can advise prospective borrowers on whether it is possible to negotiate a loan against a certificate of deposit to put toward real estate. Our firm also handles real estate transactions in Malden, Cambridge, and Lowell, among other Massachusetts cities. For a consultation with a home financing lawyer, contact us online or call us at 781-843-2200.